Heyo! Any Thai Food lover here? 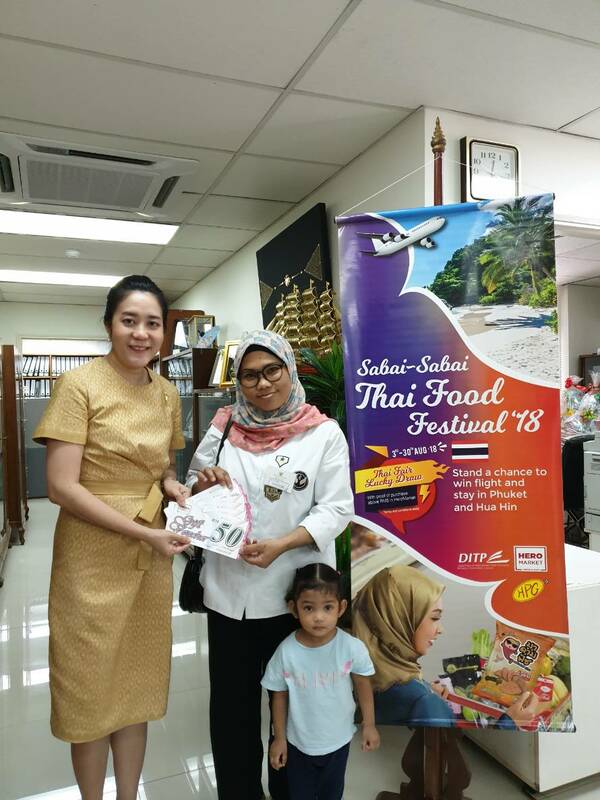 If you wish to experience the best of Thailand, don’t miss out Sabai Sabai Food Festival 2018. It’s happening from today 3rd to 5th August, 2018 at the Concourse areas Berjaya Times Square, Kuala Lumpur. 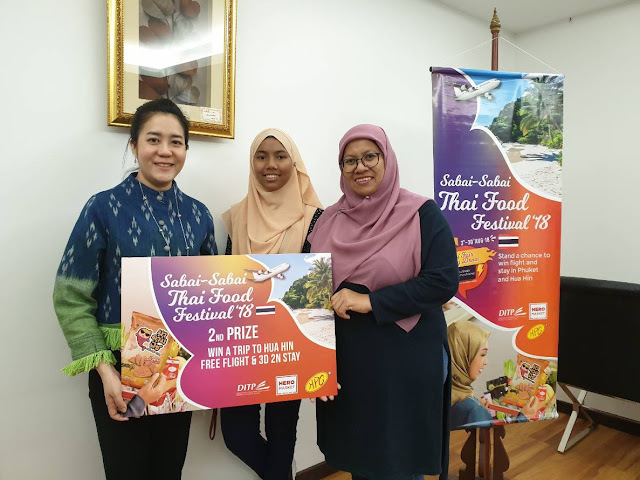 Jointly organized by the Department of International Trade Promotion, Ministry of Commerce of Thailand (DITP), HeroMarket and HPG Marketing (M) Sdn Bhd, the festival will take place at all 24 HERO Market outlets. By the way, do you know what Sabai Sabai means? Well, Sabai Sabai simply means being happy, relax and comfortable, perfectly embodies the Thai culture and lifestyle. You can find a wide range of Thai food products and snacks brought to Malaysia in selected Hero Market stores. There will also be special-priced offers for selected Thai products. There are many varieties of Thai food and beverages available during the festival, from snacks, noodles, instant noodles, rice, sauces, cooking ingredients, beverages and many more. I wish to buy them all. Besides food and beverages, there will be Thai cultural performances, Muay Thai performance and workshops that will showcase Thailand’s exquisite blend of culture and heritage. On top of that, a wide range of new Thai products will be launched in Malaysia. These include innovative fruit snacks from J Fruit, famous Thai confectionery brand– HACKS, Japanese rice crackers - Doca, fried shrimp and crab chips - Manora,Pocky choco sticks, crispy fish snacks – ‘Madam Fish’, rice crisps – Tawan, roasted peanuts snacks – Otori, sweet tamarind from Tamarind House as well as snacks and beverages from international brands that are produced in Thailand such as Schweppes +C Lemon Flavour Soft Drink, Malee 100% juices, Birdy 3-in-1 coffee, Hales Blue Boy Syrup and many, many more. Malaysian consumers can also get special priced offers from existing brands ranging from confectioneries and beverages. Oh yes! You must take note on this, during ‘Sabai Sabai Thai Food Festival 2018’ for every RM5 purchase of Thai products at the Hero Market outlets from 3rd to 31st of August 2018, you are eligible to participate in a lucky draw to win exciting prizes. Wow! I bought some products at the festival and have submitted my forms already. All the best to you and me as well. Last but not least, this is for Johor Bahru friends and fans. Do mark your calendar, from 16th to 18th August 2018 you can visit Desa Tebrau, Johor Bahru and enjoy more Thai cultural performances alongside a Thai food festival and international bazaar. If you spend more RM30 at Hero Market Desa Tebrau you will receive a free 15-minute Thai massage courtesy of Thai Odyssey. 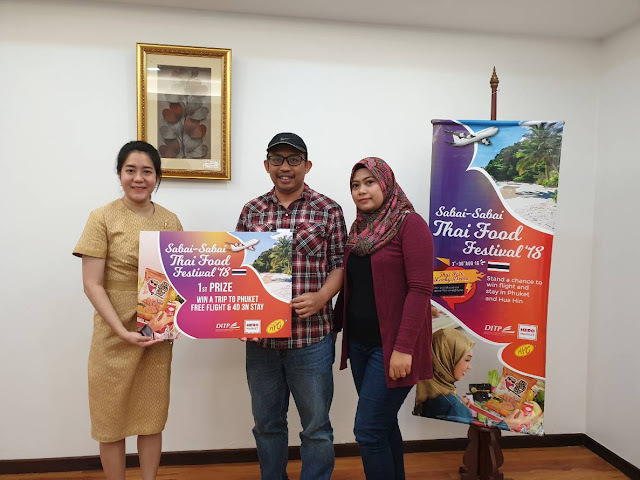 The first Sabai Sabai Thai Food Festival 2018 comes to an end on 31st Oct 2018, and the lucky draw winners were happy to receive their prizes. Sabai Sabai Thai Food Festival was held in partnership with Hero Market and HPG Marketing from 3rd of August to 31st September 2018. The food festival was held in all 25 Hero Market outlets nationwide. Wow.. Unik nama dia sabai2.. Means happy lbh kurg la kan.. Btw, makanan thai dijual kt sini ada yg halal food tak? Kita suka makanan thai.. Haritu ada fiesta food thai pon xsmpt nk jelajah.. When I heard Sabai Sabai word, it's remind me to Thai food. Of course I'm thai food lover . ada festival makan makan macam ni, ramailah kaki makan yang turun dan menjamu selera dengan juadah yang enak. Nampak menarik event ni. Rasanya bulan ni memang event Thailand eh. Ada macam-macam event. Heehehe. 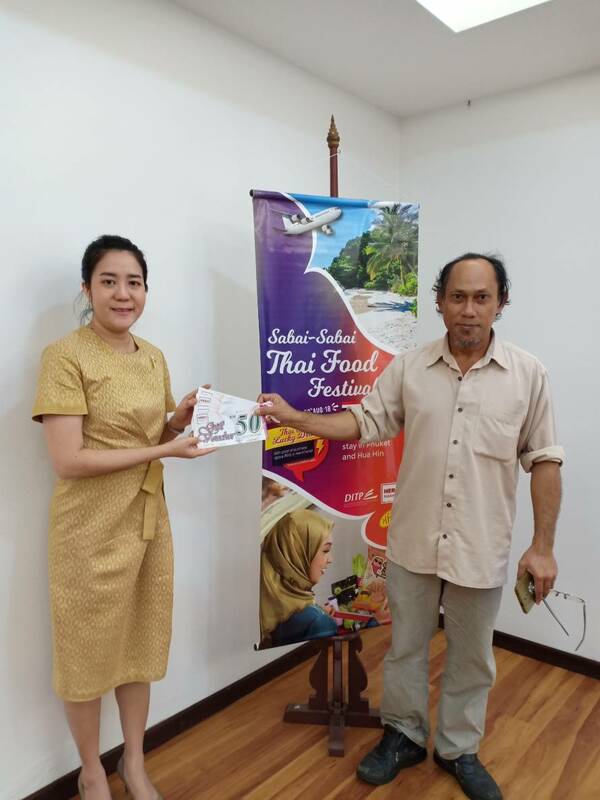 Seronok dapat cari tom yam paste asli thailand tau. I beli borong. Memang best.